As far as the actual end-user software experience goes, there are a suite of tools available to help clients manage their fleets as well as reduce fuel consumption, excessive overtime and vehicle misuse. There are also a number of customizable text message and email alerting options available for critical vehicle events such as harsh driving, speeding, power loss and much more. This is helpful for letting fleet managers know if there is an issue right away, even if they are not logged on to the platform. When using the software, the alerts are quite easy to set up by selecting a vehicle and assigning a particular rule, however the software interface itself can seem a bit overwhelming at times. There is quite a bit going on when you look at the main screen which can be distracting and makes it hard to navigate (for a new user). Overall the software still performs the necessary functionality needed when considering a fleet vehicle tracking solution. All in all Navixy is a high level platform for large business owners, however for regular user this tracking software might look too advanced. 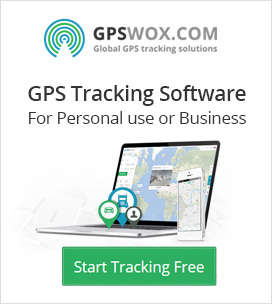 Therefore, if you want to start your tracking business quickly, or provide easy to use services for your customers, test also other white label softwares like: Inepex, Position Logic, Mapon, Gpswox, Global AVL, Key Telematics etc.